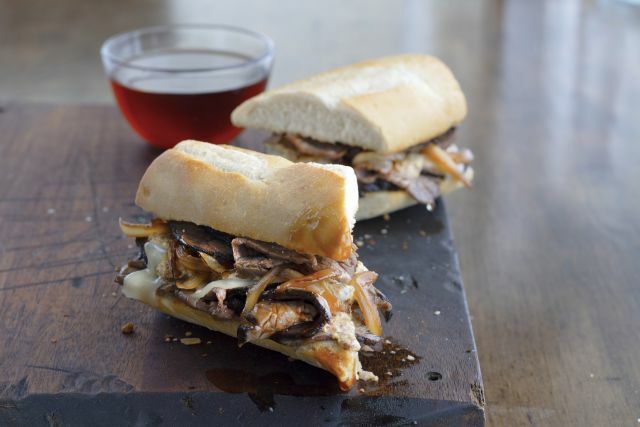 Newk's Eatery launches the new French Dip Au Jus sandwich for a limited time through December 2018. The seasonal sandwich features roast beef, caramelized onions, Ammerlander Swiss cheese, spicy Creole mustard and au jus for dipping. - Grilled Steak & Portabella Pizza - Topped with flame-grilled petite tenderloin steak, grilled portabella mushrooms, caramelized onions, mozzarella cheese, and vine-ripened tomato sauce, topped with Gorgonzola cheese. - Italian Chopped Salad - Genoa salami and julienned ham, pimientos, Garbanzo beans, sliced pepperoncinis, shredded provolone, and chopped basil on mixed greens. - Dozen-Layer Pumpkin Spice Cake - Made fresh daily and consisting of a dozen layers of pumpkin spice cake and hand-whipped cream cheese frosting topped with walnuts.